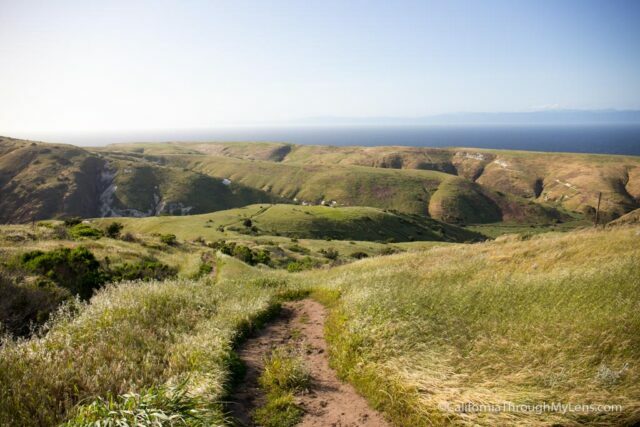 Channel Islands National Park consists of a collection of five islands off the coast of Southern California. 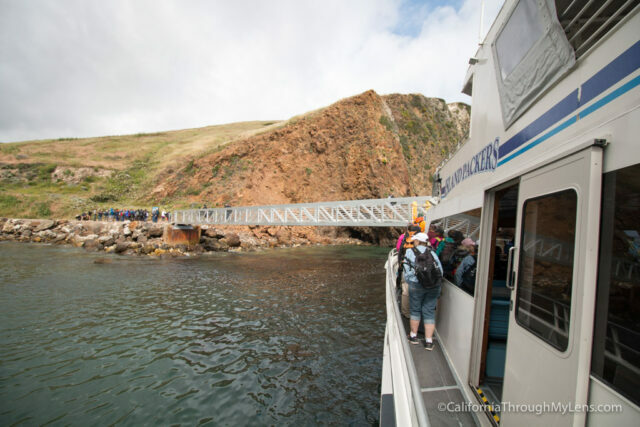 The most popular of these is Santa Cruz Island, which is what this guide is about. It is the easiest to get to of the larger islands, and it has lots of great hiking trails and camping spots for you to use. 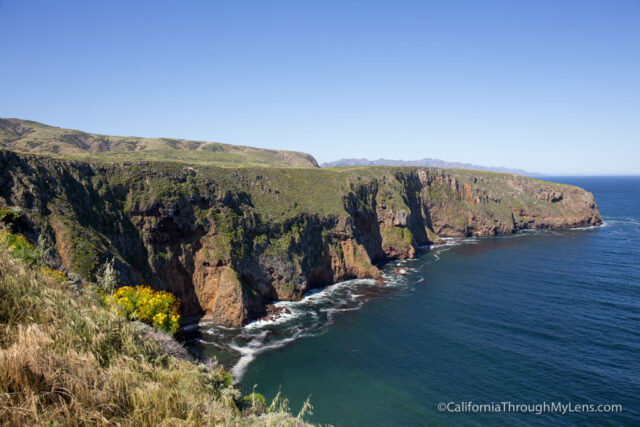 If you are looking to just take a day trip, then you can still visit Santa Cruz, or you can go to the smaller Anacapa as well (more on that here). 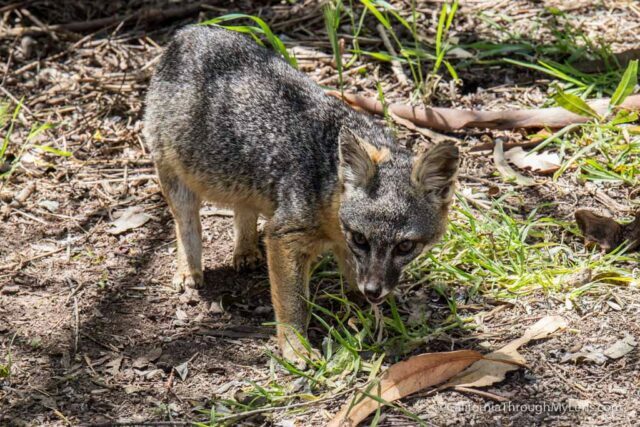 Read on for how to book a trip, where to hike and camp, and how to avoid the island foxes stealing your food. 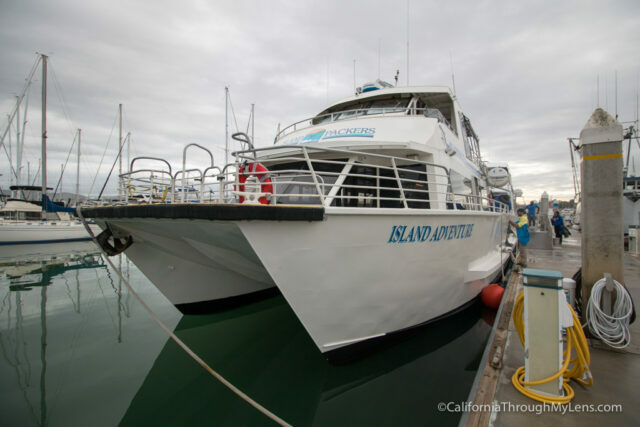 When planning a trip to Santa Cruz Island, the first thing you need to do is reserve the campsite and the boat trip. You can just go as a day trip (more on that below), but since you are spending the time and money to get over there, you might as well take your time. I recommend checking to see if a campsite and boat ride are available then booking the campsite first since that is the cheapest, then the boat trip. Above is a video I made to help you understand the process. Scorpion is the most popular place to visit on the island, as it is the most developed water, toilets, and a large campground. 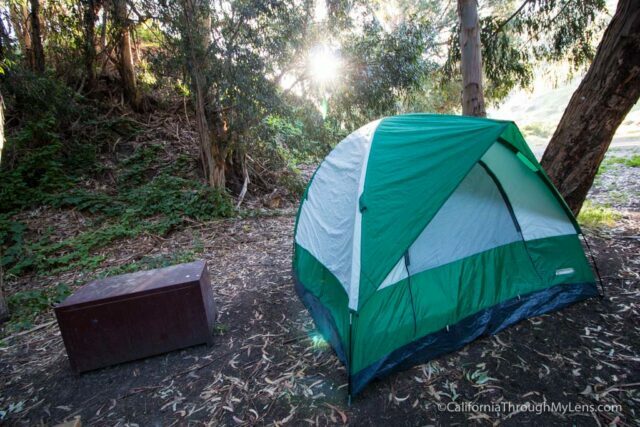 Prisoner’s Harbor has backcountry camping, so if that is what you are looking for then that is an option as well, but for most people Scorpion is where they will be going. 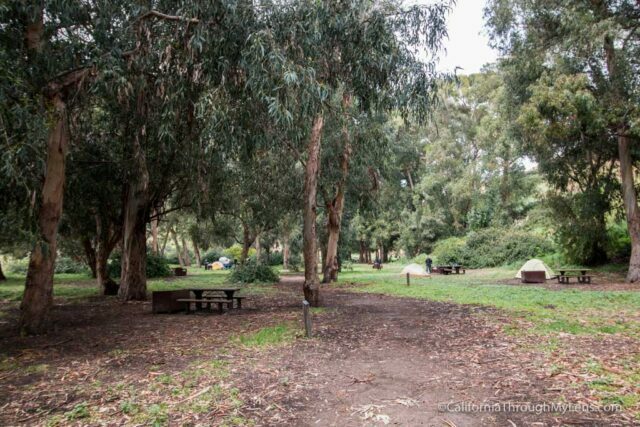 Here are links to the boat and campground. After booking your campsite and boat ride, you just need to arrive on time to check in your gear and get ready to board the ship. The email the boating company sends tells you about equipment requirements and check in times. The trip is about an hour but can take an hour and a half if they see marine animals and stop. 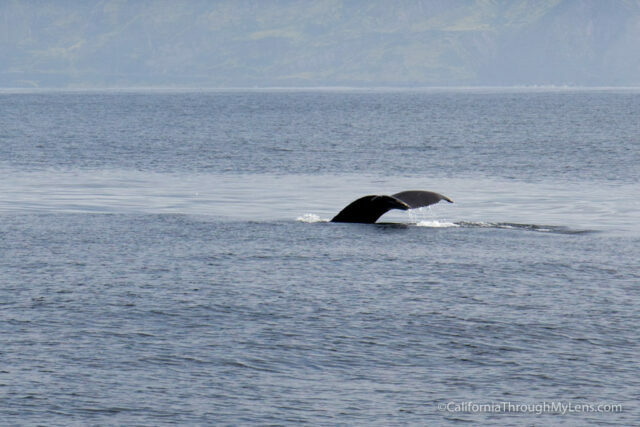 On our trip, we saw both whales and dolphins, and it was a blast stopping to see those on the way to the island. After the ride, you dock at the island, and they will help you unload all the gear. You will then get an orientation from the ranger before going to your campsite. The walk from the dock to the campsite is about 10 minutes to the lower campground and 15-20 minutes to the upper campground. Upper is mainly for groups, so lower is probably what you will choose. Be sure you can carry the gear you bring this far. I found the campsites to be big and well laid out. There are multiple water spigots, so you do not need to bring water when you go over to the island. 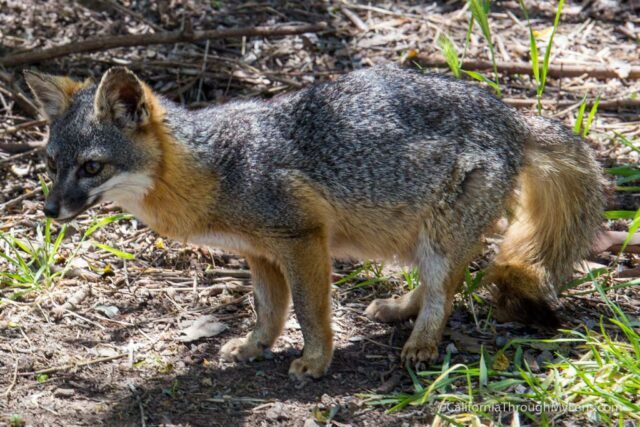 Each site has fox boxes, and you will want to make sure you store your food in these. The foxes here are sneaky, and I saw them steal food from people while I was there. They really are a fun addition to the island though as they are very cute and about the size of an average cat. I saw probably a dozen or so when I was there as they are always walking around the campsites. Even though they are cute, do not feed them. 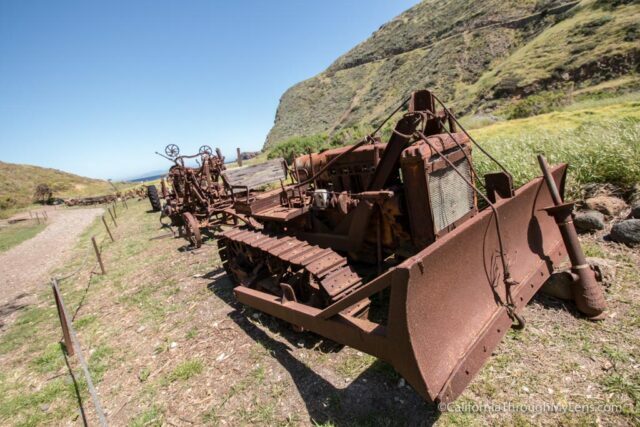 There is no food to purchase on Santa Cruz Island, so you must bring everything you need. 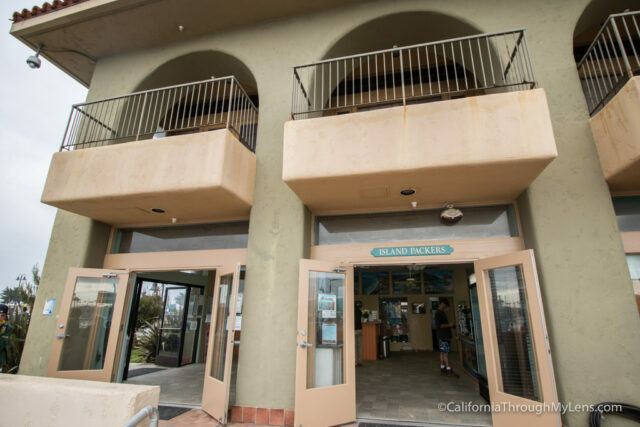 When you get back on the boat to head over to Ventura, you can purchase some snacks though. If you are taking a day trip, then I would recommend one of three hiking trails. First, Smugglers Cove is the most popular trail on the island and for good reason as it is beautiful. The hike is 8 miles roundtrip though with some decent elevation gain, so you would want to make sure you have enough time to complete it based on when you arrive and your hiking speed. 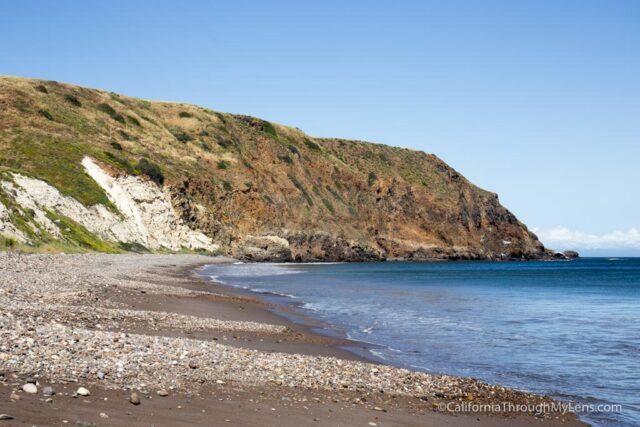 If you are looking to explore the interior of the island a little bit, then the 4.5-mile trail called Scorpion Canyon is a good one. It heads out on the Smuggler’s Cove trail but splits inland, visiting an old oil well before heading down into a wide canyon at the very end of the trial. Lastly, if you are looking for a great coastal trail, then I would recommend Potato Harbor to the Bluffs Trail then to Cavern Point. It is about 5 miles, and you are hiking along the bluffs for half of the hike, making it incredibly picturesque with tons of great views. If you have to pick one, this is probably the best for coastal island views. 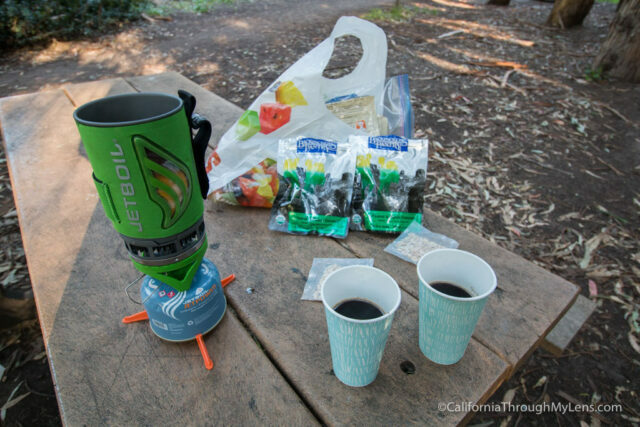 If you are camping then I would recommend trying to do all of the above recommendations. You can combine Smuggler’s Cove with Scorpion Canyon and go to the oil well and back down Scorpion Canyon on the way back. You can see a lot more hikes below; I will link to them as I post about them. 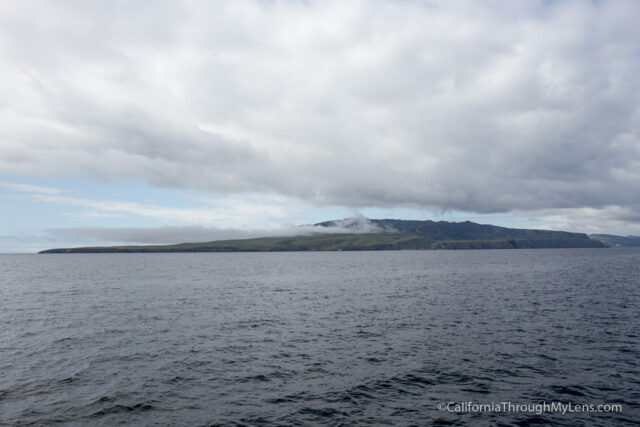 Kayaking is the last big adventure on the Scorpion part of Santa Cruz Island. If you arrange it beforehand, you can rent a kayak and have the boat company take it over for you (but only a certain amount can go on each boat). This requires you to navigate ocean waters yourself from the island though and should only be done by those experienced kayakers. The best option would be to go with a guide service, and there are multiple that will take you on day trips or overnight trips. I have not done this myself, but I hope to one of these days. 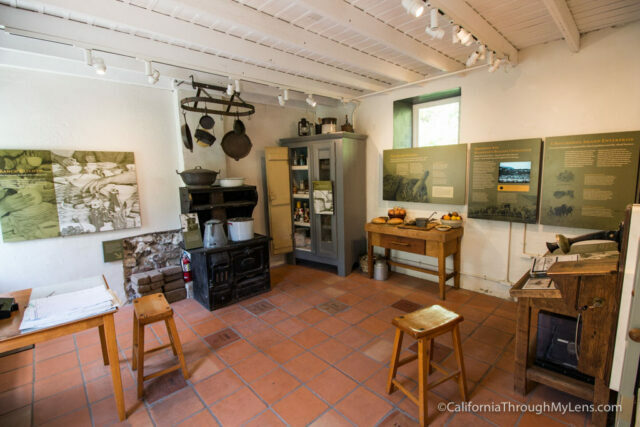 If kayaking or hiking are not your thing, then the island also has some great history. 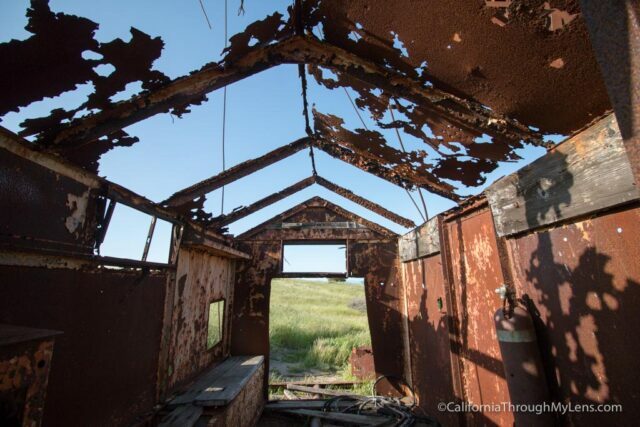 It was home to the Chumash Indians for centuries, before being privately owned by one family. 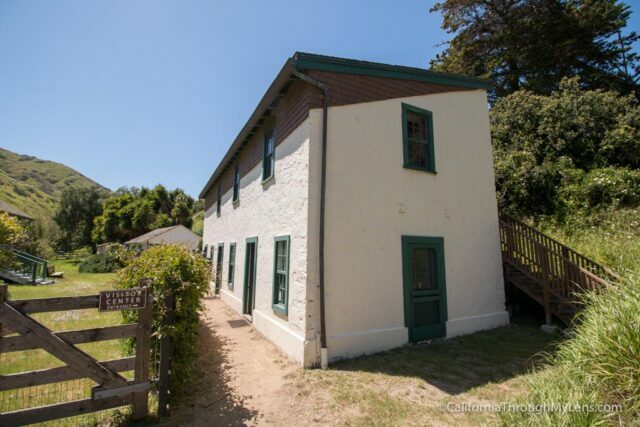 It was a big sheep and cattle ranch for decades as well, before the ownership eventually transferred to the NPS. There is information on all of this in the visitors center on the park, and you can also see some old pieces of machinery around the center as well. 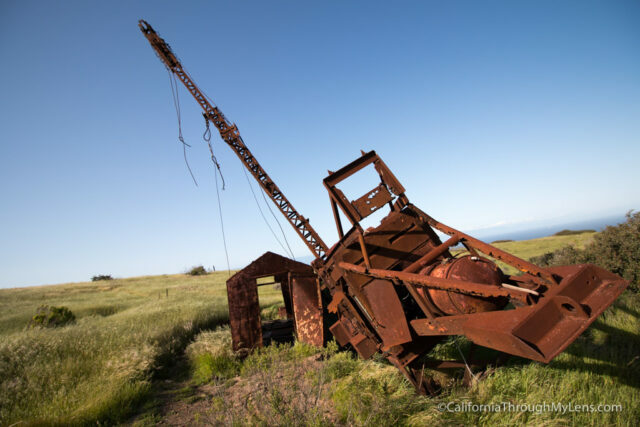 If you are taking the Scorpion Canyon Trail, then you will also see the remains of the old oil well on the property which is well maintained and fun to see in person. 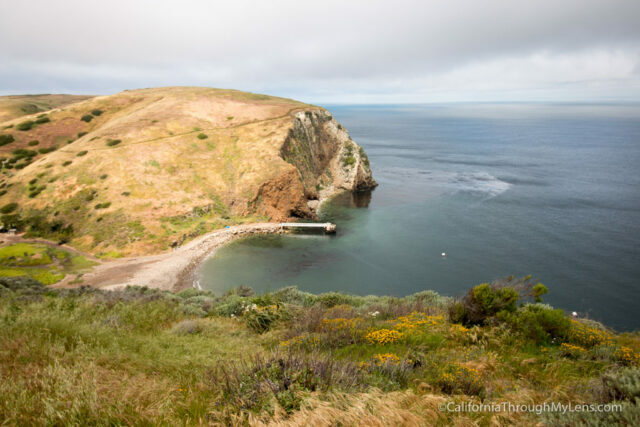 If you want to see these recommendations and more in video format, here is a video I made of how to spend 24 hours on Santa Cruz Island in Channel Islands National Park. 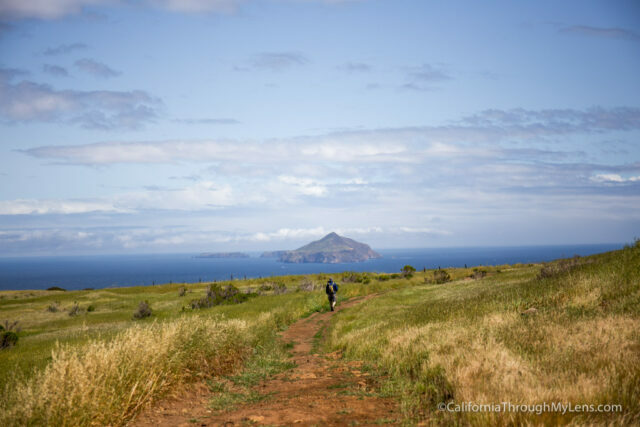 As you can no doubt see, Santa Cruz Island is a fantastic place to spend a few days, and this guide only scratches the surface. Be sure to let me know what I left off in the comments and read more about all the National Parks here.